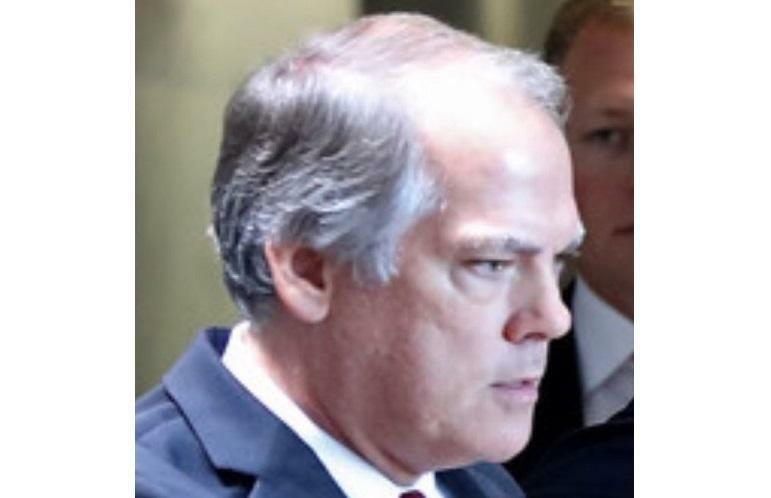 The arrest of James Wolfe, the former director of security for the Senate Intelligence Committee, has sent shockwaves through D.C. - kicking off, among other things, a massive crackdown on leakers at the State Department following Wolfe's indictment for lying to the FBI about contacts he had with three reporters. News of Wolfe's arrest was followed by an article in the New York Times claiming that the Department of Justice "secretly seized years' worth of a New York Times reporter's phone and email records," in connection with an investigation into classified leaks. That reporter, Ali Watkins - formerly of BuzzFeed, is now under internal review by the New York Times for possibly lying about the nature of her relationship with Wolfe. Watkins has been covering national security for the Times since December, while her romantic relationship with Wolfe began in 2013 when she was an intern at McClatchy, ended last year. Watkins claims she didn't receive information from the 58-year-old married Wolfe during the affair. The Times said on Tuesday that it was conducting a review of Ms. Watkins’s involvement in the case, including the nature of her relationship with Mr. Wolfe, and what she disclosed about it to her prior employers. Ms. Watkins informed The Times about the prior relationship after she was hired by the paper, and before she began work in December. She has said that Mr. Wolfe did not provide her with information during the course of their relationship. Journalists are supposed to abide by ethical rules that stipulate they cannot have personal relationships - including romantic relationships - with their sources. But Watkins claims she didn't receive any information from Wolfe while they were together, according to the Times. DOJ investigators seized emails and phone records belonging to Watkins in what the NYT described as the first instance of the Trump administration seizing the personal communications of a journalist. Watkins was later informed of the seizures in a letter that she received in February, which informed her that "years worth of records for two email accounts and a phone number of hers" had been accessed as part of the investigation. "I’ve watched your career take off even before you ever had a career in journalism… I always tried to give you as much Information [sic] that I could and to do the right thing with it so you could get that scoop before anyone else," Wolfe wrote to an individual the documents identify as Reporter No. 2. "I always enjoyed the way that you would pursue a story, like nobody else was doing in my hal1way [sic]," Wolfe allegedly said to Watkins in December 2017. "I felt like I was part of your excitement and was always very supportive of your career and the tenacity that you exhibited to chase down a good story." According to the New York Times, Watkins was approached by FBI agents back in December and asked about the nature of her relationship with Wolfe - questions that she (wisely) declined to answer at the time. Watkins says she was also approached last June by somebody claiming to be a government agent, and who also brought up Wolfe. The man later told her that he was aware of her relationship with Wolfe, and asked if she could help him ferret out leakers. The Washington Post reported this week that the man who approached Watkins was Jeffrey Rambo. After the encounter with Rambo - which she said unnerved her - Watkins disclosed the nature of her romantic relationship with Wolfe to her editors at Politico. The Feds say Wolfe lied about the nature of his relationship with Watkins until he was confronted with a photograph of the two of them together. However, Wolfe was in regular contact with multiple journalists who covered the committee, including meeting them at restaurants and bars as well as the office building where he worked. Wolfe pleaded not guilty to three counts of making false statements to a government agency - charges on which he could face up to 15 years in federal prison. Watkins once made an off-color joke on Twitter about how she'd like to have a casual affair with a source in the same way that Zoe Barnes, a character from the Netflix series "House of Cards", did. In the show, Barnes receives several groundbreaking scoops via her sexual relationship with Kevin Spacey's character, Democratic Whip Frank Underwood.